he promises he will fool you and then he fools you just like he promised. Hi, I am very happy to meet you. 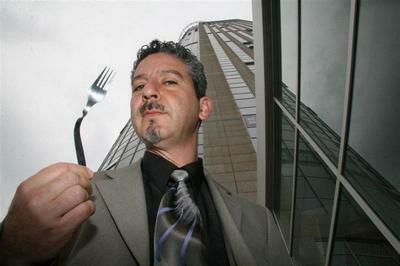 My name is Ori Ashkenazy ,I live in Israel and I perform magic all over the world. I became interested in magic as a young child and to this day, the passion of magic keeps me excited and enthusiastic. Having studied magic while residing near the world famous Magic Castle, I had the pleasure of learning from many of the legends, (private lessons with such greats as Larry Jennings) Theater in college, acting school and technology studies, I combine these to create shows that are inspiring audiences to see the magic in life and embrace it. My experience is very versatile and includes numerous television appearances, theatrical consulting for a number of plays, promotional magic for companies, shows and workshops that unite and deliver messages to company employees, emceeing conferences, person-to-person promotional activities, lecturing and teaching magic, cruise ship shows and more. I performed on Monday Night Magic in New York and at The Magic castle in Hollywood. I have worked for a very long list of companies and private people all over the world and thank them for using my talents to entertain their clients and guests. 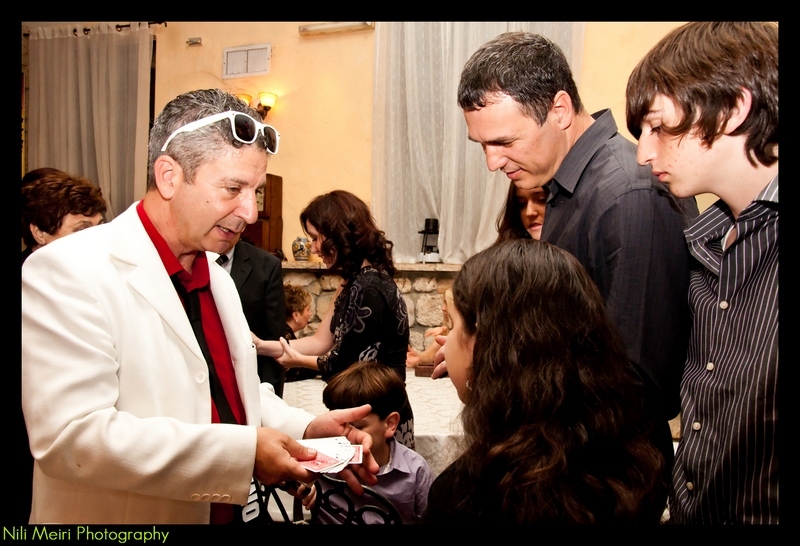 Being a magician in Israel, the biblical land of miracles, I volunteer occasionally to bring magic and joy to people who find life magic-less. I have performed in war zones, hospitals, rehab centers, prisons and orphanages, etc. Wherever I find it valuable. I have also participated in many fundraisers and my magical presentations have attracted many funds for good causes. I have also volunteered for two years in a program named The Way To happiness, where I lectured and performed in front of teachers\’ students and other people on a weekly basis on the subject of values and positive psychology. These activities which included role-playing, conversation and other demonstrations of how we can live happier, better & more valuable lives. This was probably one of the most teaching experiences of my life and I got from it much more than I ever contributed. Not in money but in satisfaction and self worth. I live in Tel Aviv, Israel, with Edna, my loving partner since 2009 and our two dogs Rachel and Kerry. My son Daniel is grown up now. He happens to be, among his other fine qualities, a wonderful musician. Magic is a wonderful way of living! In my lectures and workshops I focus on subjects such as: Synergy, Sensitivity, Responsibility, Validation, Observation and more using words, games and magic. Lately I lectured and wrote on the subject of ADHD and how magic principles relate to it. Always remember – you are a magician, and you can influence the world! I thank you for your attention and wish you a wonderful day!